Dry Cider. Traditional Method. Local apples. 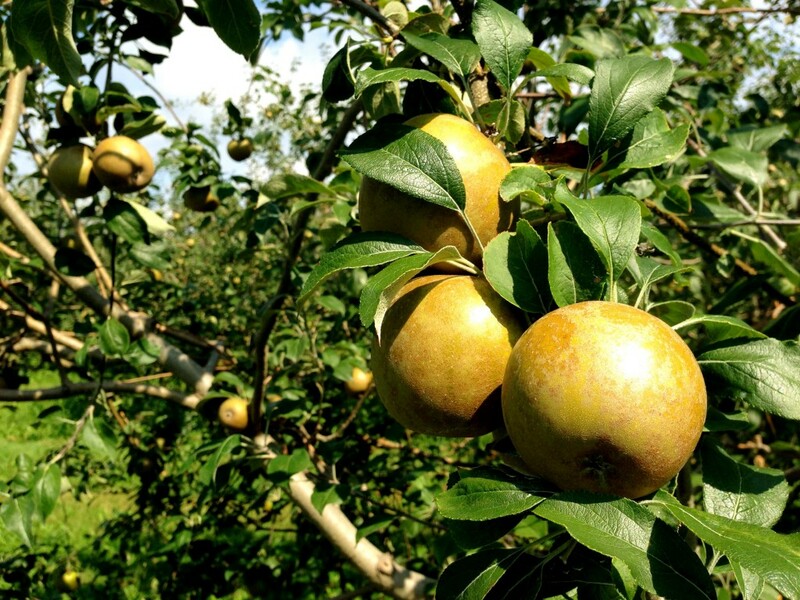 Golden russets are one of only a few apples capable of making single varietal cider. Along with the kingston black, it has near perfect sugar, acid and tannin. The juice has a vinifera-like quality, that during fermentation makes you almost forget it is not from grapes. This is not a cider that tastes oxidized. Indeed, the ripe, full tannins in these apples protected the cider from the yellowing ravages of oxidation. The natural sugar level of these apples was so high that the cider tops the alcohol scale at 9.5%. Our sparkling apple cider is made with the same level of attention and detail that goes into our pinot noir. 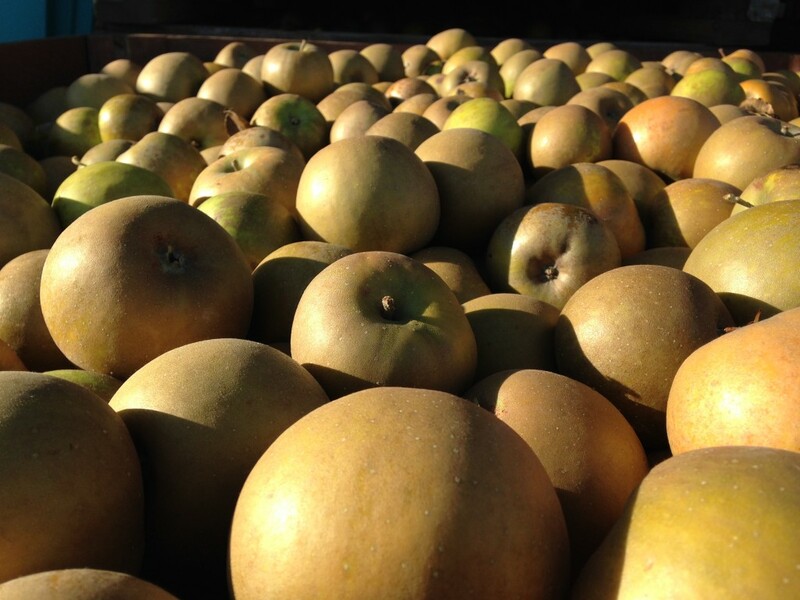 The apples, non other than the noble golden russet, were sourced from a nearby apple orchard. They were hand sorted and the cider is méthod traditional, so the second ferment was in bottle. Like our sparkling pinot noir this cider is hand riddled, hand disgorged and topped with a natural cork. Some of you may know that my grandfather owned an orchard in the town of Yquelon, Normandy, where he made cider and calvados. 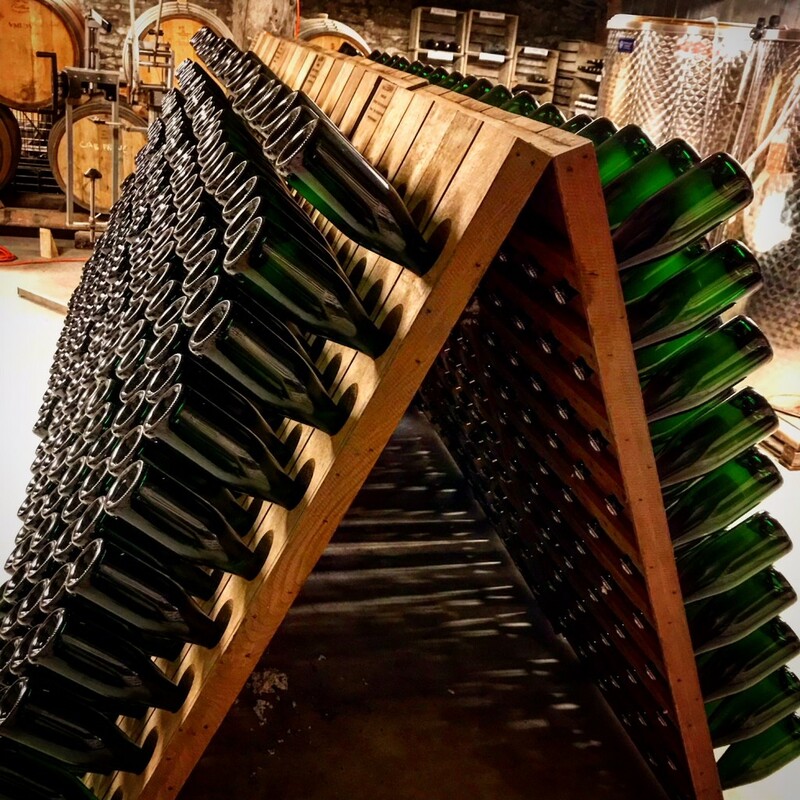 As a child, during summer sojourns, I remember my grandfather fetching a carafe of still cider while we sat for lunch and tasting cidre bouché in the afternoon. It is those memories that stayed, and allowed to germinate in me the desire, years later to also make it.